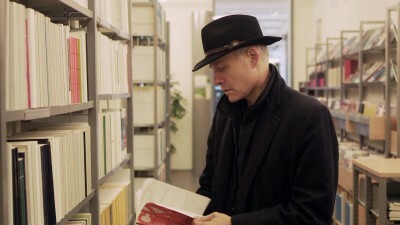 The film “Of Conductors and Conducting” takes a look behind the scenes of the art of conducting. 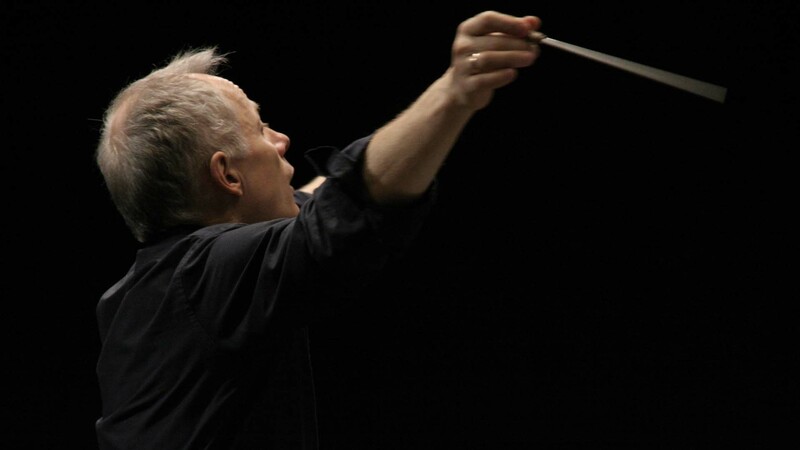 The documentation “Of Conductors and Conducting” is about an exciting musicological theme. The film brings to light the musical world of two conductors by exploring the most complex technical and artistic skills that go together with the profession of a conductor. Exceedingly few would interpret their role as a desk magician, since it is intensive preparation – with all its ups and downs – that stands behind the magic of a concert. The film is diving into this world, documenting two conductors’ everyday life that culminates in the concert in which – ideally – all preparation work steps will merge into a sublime sound experience. The central question behind “Of Conductors and Conducting” is how all the earthly efforts of preparation can flow into a magic sound experience. 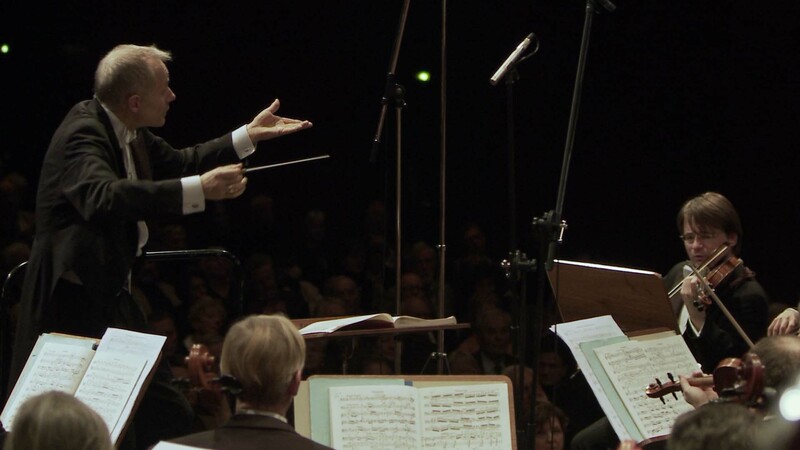 “Of Conductors and Conducting” is a melodic film with a lot of emotion. 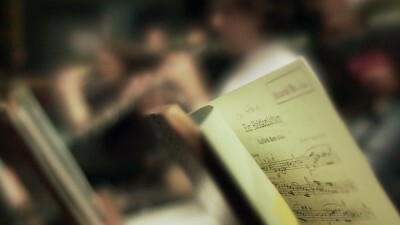 The musical and artistic theme of the film is underlined by a soft hand camera with a shallow depth of field, accomplished by a 35 mm adapter. Some puzzles of the art of conducting can be decoded in the course of the film, by means of questioning different orchestral musicians, as well as the observation of the two conductors over a several months period of time while accompanying them in both their daily orchestral work and their work at home. This is accomplished e.g. by explanations of orchestral musicians or when the two conductors are being accompanied by the camera over a several months period of time in both their daily orchestral work and their work at home. As an example, the film is disclosing ways of how the orchestra transcribes to sound and expression the conductor’s instructions indicated by body movements and gestures that are hardly apparent to a layperson. In order to accomplish this, a film scene was intendedly decelerated by use of a sequence of still images (photographs) that uncover the conductor’s technical and artistic refinements, thus partly decoding the “conductoral” language. Herbert von Karajan once said: „Orchestra do not have an own sound; it’s made by the conductor”. An abstract statement in the ears of a layperson, since conductors are unable to influence the sound by contributing with an own instrument. Rather, their gestures are visible to the audience, and only at special moments, a mysterious way of communication can be perceived by the audience. Outstanding conductors will be able to bring to life the work of composers deceased long ago, or to control 80 musicians with a smile, and at the best they will be able to touch emotions of an entire concert hall. The ambitious student conductor Christopher Kramp is in the middle of his education at the Stuttgart conservatory, in particular in the preparation of Tschaikowsky’s “Romeo and Juliet”. He is being accompanied by the viewer in different courses where he – in cooperation with his teachers – tries to handle the technical, artistic and human requirements of his profession. Olaf Rudner, chief conductor of the Württembergische Philharmonie, Reutlingen, is taking along the audience to different stages of his preparation for the magnificent symphonic poem “Ein Heldenleben” by Richard Strauss. Studies of the score in which he repeatedly deals with the composer’s and his own world of emotions are one of the foundations of his conducting. Others are the orchestra rehearsals that are meant to convincingly provide his interpretation of the work to the musicians.